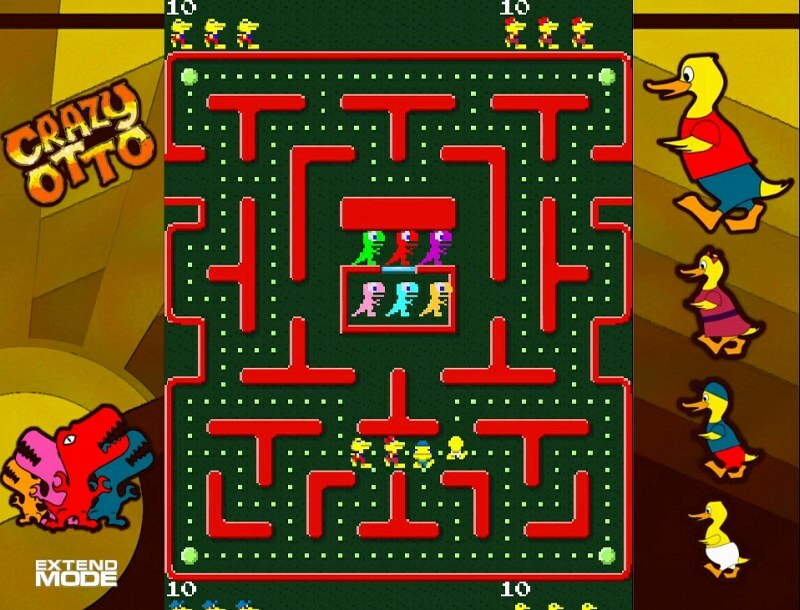 Indie Retro News: Crazy Otto - Pac-Man style antics from Extend Mode - Gets a Steam Greenlight campaign! Crazy Otto - Pac-Man style antics from Extend Mode - Gets a Steam Greenlight campaign! We were recently given the heads up from one of our twitter followers, of a new game that's currently aiming for a Steam Greenlight success, that looks very similar to Pac-Man but with more than just your usual scattered pellets. In fact, ' Crazy Otto ' as the game is called, is actually a 2016 conversion of the Arcade game of the same name but developed by Extend Mode. Unlike that 1980's title though, this one adds an extra twenty four levels, eight simultaneous players, full support for vertical monitors and what I think sounds really awesome in ' Crazy Otto ', is the ability to play as either the good guys or the bad guys, and battle it out with your friends. If you've never heard of the classic Crazy Otto, or shall I say ' Ms. Pac-Man ', it was originally an enhancement kit for the original Pac-Man cabinet called Crazy Otto. But the original creators sold the rights to Pac-Man’s North American distributor Midway, at which point the game was changed to Ms. Pac-Man. So this is why you see such strong similarities to the original Pac-Man game, but if you want to play something new in your life but based on a classic, give Crazy Otto your Greenlight thumbs up.